Welcome to the Nottingham Day Out section. Here you'll find Nottingham's best attractions, tours within the city, key shopping areas and specialist markets, hidden away cafés and, for the adventurous, popular sport and leisure activities. 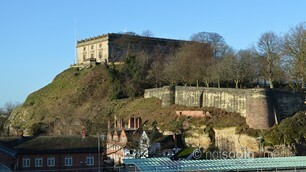 Nottingham has lots of attractions to easily fill a weekend visit. 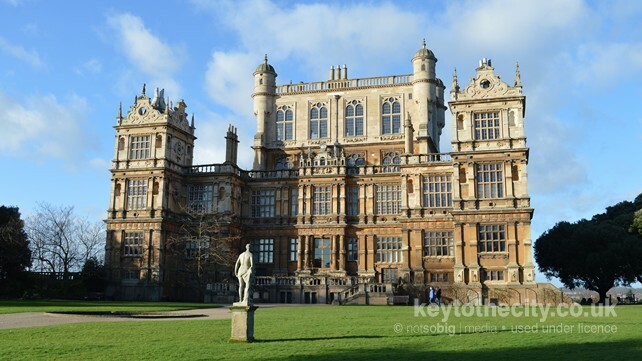 From the Castle to Wollaton Hall, from the Galleries of Justice to the City of Caves in the Broadmarsh Shopping Centre, you'll find it all here. Here you'll find details of popular tours within the city. Also tours to neighbouring towns and counties. 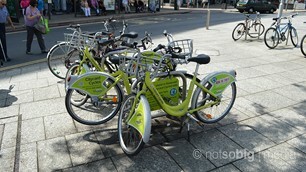 We also include information of cycle hire here so you can go and explore the city yourself! Nottingham has a rather sprawling shopping centre which since the opening of the Victoria Centre in the 1970s seems to go on forever! We also include historic arcades, city markets, major stores and unique independent shops. For a bite to eat during the day, Nottingham has plenty of unique cafés hidden away throughout the city centre. There are also plenty of chain coffee shops on the main streets but at the moment we only list the popular independent ones here. With two football teams, racecourse, Trent Bridge cricket ground and the home of Ice Skating in Britain, Nottingham has a lot to offer. We include the most popular sports here as well as other leisure activities that you might find of interest.